The site is designed so you can customize the look and feel to match your school. To start click Settings from the main menu. 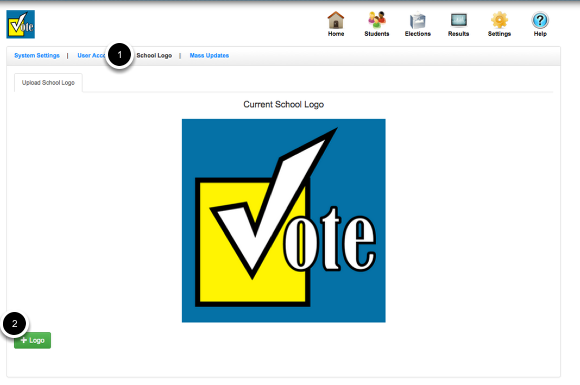 You can also upload your own school logo or image. Just click on the School Logo Section and click + Logo to upload.